Megastar Chiranjeevi is a very experienced actor who has seen various ups and downs in his long and celebrated career. Naturally, this provides him with a wealth of experience and knowledge. 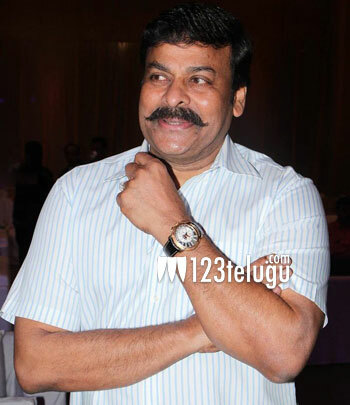 Chiranjeevi is known to be a very friendly person on sets and he gives advice to the younger actors when needed. Kajal Agarwal is the heroine in his 150th movie and she is making good use of Chiranjeevi’s experience. Chiranjeevi is reportedly giving Kajal a lot of tips and advice in many aspects of life. The movie is being directed by Vinayak and Ram Charan is the producer. The eagerly awaited film is going to hit the screens for Sankranthi.